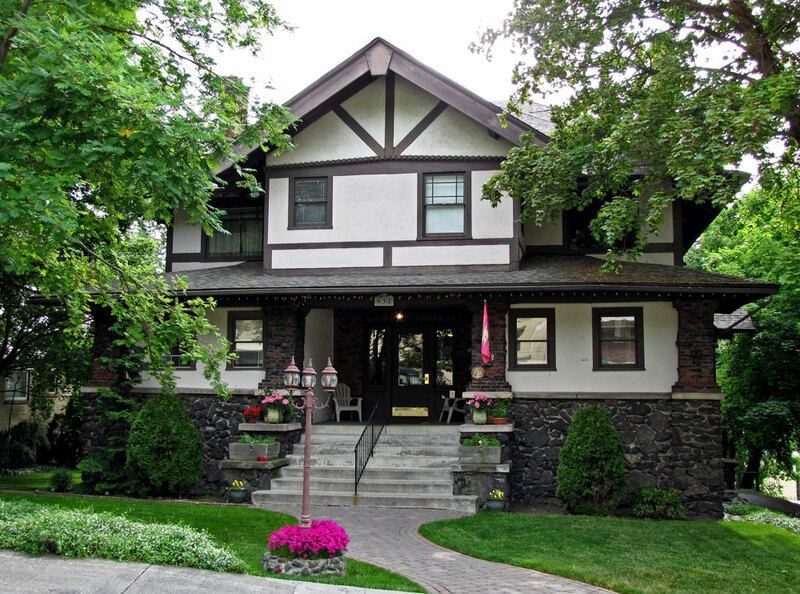 Built in 1910 and named for Spokane businessman Jimmie Durkin, the Durkin House conveys a strong naturalistic feel often associated with the Craftsman style through abundant use of indigenous materials. Particularly noticeable is the black basalt foundation, textured brick at the first floor, wood trim and false half-timbering. The placement of these materials effectively "grounds" and connects the home with its natural surroundings.